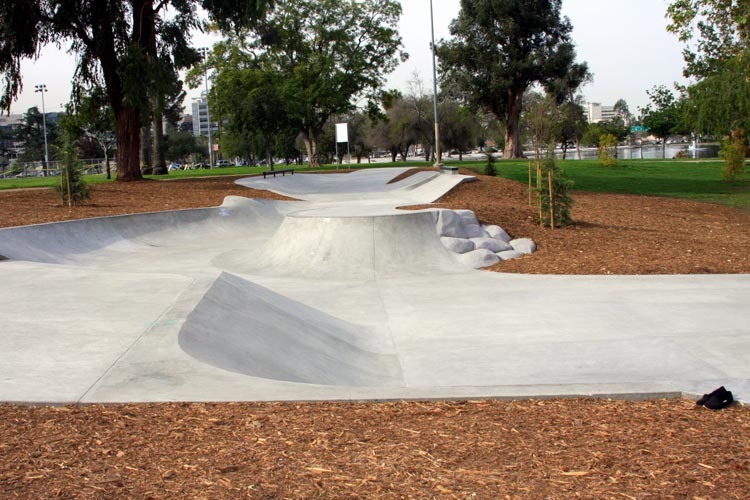 Lincoln Park is a collaboration between CA skateparks, Nike SB, LA84, and the Paul Rodriguez Skateboarding Foundation. The park was designed by CA skateparks with help from key employee and legendary professional skater Lance Mountain who received support from both foundations. With the addition of this park, Los Angeles continues to become the premier skateboarding destination in the world. SITE was hired to create the construction documents for this project. the designers of the park include legendary Mountain of Nike SB team, and California Skateparks. The design was brought to reality by the Paul Rodriguez Skate Foundation, the the LA84 Foundation and Nike SB. Talking about the inspiration behind the skate spot, Mountain said, “I wanted to get back to basics. The goal was to produce something that is reminiscent of the early days of skate culture when kids would teach themselves balance and control by riding hills.” Mountain explained that the skate spot is built with a 7 degrees angle in some place, combining the street elements with a traditional snake run to create a truly distinctive skate experience. Lincoln Park Skate Spot offers features that engage the many diverse styles of skateboarding and focuses on street obstacles and movements rather than just the tricks. Some of the features of the spot include rails, a flatbar, a Euro Gap, a quasi snakerun and hubba ledges. The spot will allow the skaters to skate in a safe and innovative location.